Sorry, but I blame him for 3 of our loses. Including last night. If he nails that 50 yarder (I know its a long one) its a whole new game at the end. And we probably win. He needs to go. He hasn't proven anything to me at all. That might be stretching it a bit but yes the offense doesn't have to press as much once they cross the opponent's 50. When you start blaming the kicker then you know your offense is not where it should be. Yeah well Carpenter is another in the long line of veterans showing up to collect a paycheck. I saw two players putting it on the line last night. Reshad Jones and Wake. I saw Solai's head snap back on one play so hard I thought he must've been asleep at the snap of the ball. Thsi entire team is in a funk. Definitely not the team we saw prior to the break. Another coaching mistake he was 0-2 this year of 50+. Why try? He's now 0-3.
we really need to look at some different kickers or draft one in the later rounds for some competition. Kickers make field goals. I don't know what it is about Miami but, kickers tend to struggle here and do well else where. I was thinking the same thing. If Carpenter knocks that one home, and Hartline doesn't get flagged for pushing off, then we would have won that game in my opinion. The defense played well enough to keep it close. We should have stole that one. 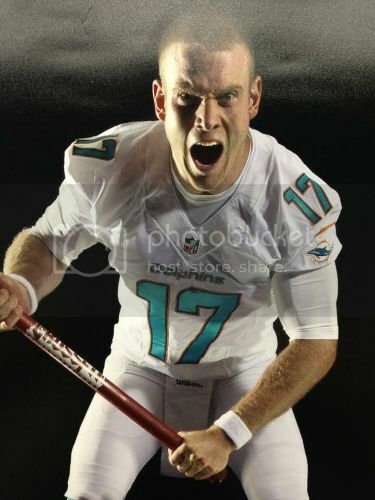 But instead he missed it and Tannehill threw a couple of picks trying to force it. And "if" Buffalo has a decent QB they dont settle for field goals & they blow us out. Please , enough of making a case why we should have won games we lost. There are "ifs" on both teams during a game. Good teams finish , make plays & dont make excuses. I agree. 50 yard field goals, especially those attempted in Buffalo, aren't sure things. I'd like to see him more accurate on those things and bringing in competition this offseason is going to be a definite move, but the Dolphins lost those games because they did not get into the end zone. We need to get out of the fist-pump mindset. You're right, on a good team their kicker would have made that kick, he would have made the play. Then when the team drove past the 50 yardline late in the game their quarterback would have checked it down instead of forcing it downfield because they would have only needed a fieldgoal to win it instead of a 99 yard touchdown drive. A good team with a good kicker would have won that game. We lost. Carpenter has regressed this season. He's less accurate. I think we're going to bring in some competition next season to push him. Because right now he just isn't the same Pro Bowl caliber guy we're used to.